The National Assembly will not reconvene on Tuesday, contrary to the announcement made last week by the Deputy Speaker of the House of Representatives, Yusuf Lasun. The Chairman of the House Committee on Media and Publicity, Abdul-Razak Namdas, confirmed to Channels Television that the House would not be reconvening because there was no firm decision to that effect. 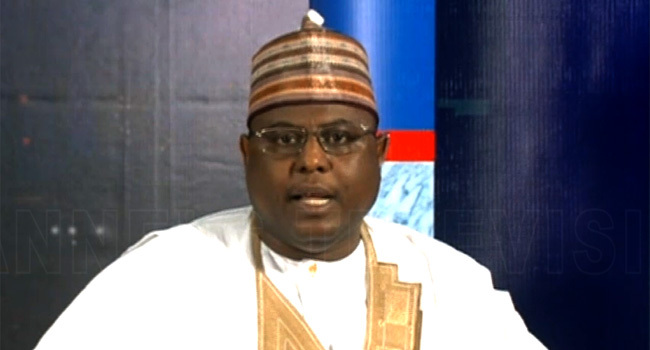 Namdas, who was a guest on Channels Television’s political programme Politics Today on Monday, said, “We are working towards resumption but not tomorrow (Tuesday) specifically. He said the deputy speaker, who spoke with journalists last week after a meeting of some members of the National Assembly leadership, had only said the lawmakers would likely resume on Tuesday or Wednesday. “I want to tell you that the entire leadership, this time around, not just some (members), will meet and a definite decision will be taken,” Namdas said. He explained that it was important for the entire leadership to meet because the National Assembly is a bicameral legislature and both the House of Representatives and Senate have to work together. The lawmakers, who have been on recess since July 24, were meant to resume in September but they are now working to resume before then to consider the budget for the 2019 general elections and other pending issues. The leadership of the National Assembly had planned to hold an emergency meeting to determine when they would reconvene on Tuesday last week, but they called off the meeting after armed operatives of the Department of State Services prevented workers and lawmakers from entering the NASS complex.